Buying a home is probably the most expensive purchase you will ever make. This is not the time to shop for a cheap inspection. The cost of your inspection is very small relative to the value of the home being inspected. The cost of hiring a Certified Inspector is certainly insignificant. As a homebuyer, you have recently been crunching numbers, negotiating offers, adding up closing costs, shopping for mortgages, and trying to get the best deals. Don't stop now. Don't let your real estate agent, an inexperienced inspector, or anyone else talk you into skimping here. Our inspectors perform the best inspections by far and to be honest with our customers, we charge based on the size of the property, the age of the home, and the distance from our offices. In many cases, two homes with the same square footage could be drastically different. One home may have 5,000 SQF while the other one is just 1,000 SQF. Some homes are newer and up to date on code and maintenance while others are old and poorly maintained and it may take long to do a thorough inspection report. Some homes have swimming pool, or a seawall and dock which you might want to get it inspected since they are big ticket items. At the very least, we recommend getting the three most common insurance inspections. Your insurance company may require a Roof Certification Inspection and may require a Four Point Insurance Inspection if the home is more than 25 years old. And to lower your windstorm insurance rates, a Wind Mitigation Inspection could qualify you for significant discounts. These three inspections can provide significant insurance premium savings. Remember, when comparing inspection companies look at the overall package and not just the bottom line. Ask them what they offer in terms of warranties and guarantees. We offer a 90 Day Warranty for Structural and Mechanical, 90 Day Warranty against Mold, 90 Day Warranty SewerGard, 90 Day Termite Protection, and 5 Years Roof Leak Protection. 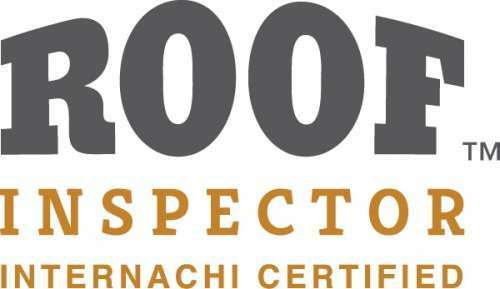 A General Home Inspection is a comprehensive visual inspection of rather accessible major systems of the house (Electrical, HVAC, Plumbing*, Roof, Site Drainage, Moisture Infiltration, Wood Rot, Attic Insulation, Windows, Doors, Interior Surfaces, Crawlspace (if applicable) and is in compliance with InterNACHI SOP. Home Re-Inspection: This is a re-inspection or maintenance inspection to make sure items deemed defective on the first inspection have been corrected and repaired. A Move-In Certified™ Seller Inspection is equivalent to a Full Home Inspection in scope. It is intended to prevent 11th-hour re-negotiations and closing delays. The Inspection can reveal problems ahead of time, which: a)gives the seller time to make repairs; b) permits the seller to attach repair estimates or paid invoices to the inspection report; and c) gives you the information you need to make an informed home-buying decision. The Scope is the same as a Full Home Inspection. An 11th Month Warranty Inspection is conducted specifically to benefit new homeowners that have lived in their residence for slightly less than one year. Builders and selected subcontractors typically extend a one year warranty to the first/new homeowner covering many aspects of a new home. As a new homeowner covered under a builders warranty, you will want to make sure you place a claim before the expiration of the warranty. Condo Inspection or Townhome Inspection: This is a comprehensive visual inspection of rather accessible major systems of the house (Electrical, HVAC, Plumbing*, Roof, Moisture Infiltration, Windows, Doors, Interior Surfaces, and is in compliance with InterNACHI SOP. Common areas are excluded. ​Termite Inspection: As defined by the state of Florida, a Wood Destroying Organism (WDO) Report is "a written report of an inspection on a home for visible and accessible evidence of an infestation or damage by wood destroying organisms". This will be performed by a Licensed Pest Professional. Roof Certification Inspection: This is a report that requires photos and is required on new insurance policies to document for the insurance company on the condition of the roof, how old it is, and how much longer it can be expected to last. Cabana or Pool House Inspection: This is for an out-house, cabana, or pool house detached from the main house. We will conduct a comprehensive inspection much like the Standard Residential Inspection on a smaller scale and while we are at the property. ﻿Home Energy Audit: We will conduct a Home Energy Audit and issue a Home Energy Score which you can use to qualify for higher mortgages and save money on the long run. Seawall or Dock Inspection: We will evaluate the condition of the seawall from the top of the wall down to the sediment line beneath the surface. Inspect and Test Davits or Boat lifts is extra. Underwater inspection is also extra. Four Points Inspection: Plumbing, Electric,HVAC, and Roof will be inspected. This is an inspection report commonly required by insurance companies for homes over 25 years old. It is a checklist on the conditions and any items above that have been upgraded on the home. Wind Mitigation Inspection: This is an inspection of the home's structural condition / design and hurricane resistance features (hurricane shutters, type of roofing, hurricane tie-down straps, building code that the home was designed to, any additional attic bracing etc.) This provide huge insurance savings based on the features or installed components of the home. Infrared or Thermal Imaging Inspection: We'll conduct a thermographic image scan of the property to capture any areas of air leak, water leaks, equipment malfunction that may be invisible to the human eye. Save time and money by isolating the problem. You will be provided with a set of pictures and an explanation for what those pictures capture. Mold Assessment or Mold Inspection: We will conduct a visual inspection of all areas of probable mold growth. Typically wet areas. We will take up to 3 mold air samples or mold swab samples and send it to a lab for analysis. We will provide you with a remediation protocol that tells what needs to be done to correct it. Moisture Inspection or Leak Detection: We'll conduct a moisture survey of the house using a combination of moisture detecting tools so we can determine the extent of the water intrusion. We will not include thermographic images. Swimming Pool or SPA Inspection: We will inspect your Swimming Pool or SPA against a checklist for functionality and safety equipment. Only available with a Home Inspection. Structural or Foundation Inspection: This is a visual non-intrusive inspection of the structure and foundation. Structural inspections by an engineer are a separate stand alone inspection provided directly to the client, and can be arranged in conjunction with the General Home Inspection for additional cost. BuildFax is the largest database of building permits in the country. BuildFax Property History Reports are used every day across the country by hundreds of Real Estate Buyers and Professionals. Armed with a BuildFax report, you often know more about a structure's history. Outdoor Cooking Area Inspection: Built-in Outdoor cooking will be inspected for function defects. This inspection can not be performed as a standalone inspection. It must be performed with a Std Home Inspection while the inspector is at the house. Septic System Inspection: Evaluation of Anaerobic or Aerobic septic system by a qualified septic contractor including removal of cap, baffle inspection, pump/float function/spray head inspection, & controls can be arranged at additional cost. Tenant Occupied Damage Inspection: We will conduct a comprehensive inspection of the house for damages which may have been caused by tenants. This is important if you are taking legal action against bad tenants or for maintenance purpose. Payment in full is due prior to or immediately upon completion of the inspection. No written report will be issued until full payment is received. You can cancel or re-schedule an inspection up to 48 hours prior to the inspection. If you cancel within the 48 hours a $75.00 cancellation or re-scheduling fee will apply. In the event inspection (s) cannot be completed due to lack of utilities service at the time of Inspection (s), you will be billed a $75.00 trip charge as in many cases the inspector may have compromised other Inspection (s) request so that your Inspection (s) could be promptly performed when originally requested.